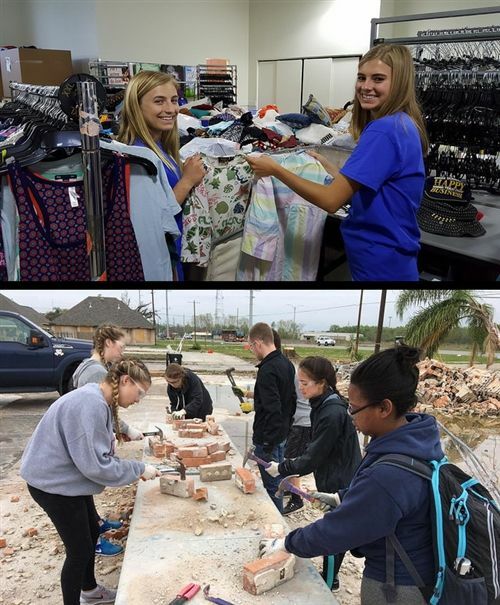 In a couple of days, our Upper School students, faculty and staff will undertake a massive civic engagement operation of 22 different service projects spanning Tampa Bay, our country and abroad, culminating 8 months of preparation. Service Week is our statement to the world that we care about building compassionate, socially responsible citizens. Our students will be working with the Lakota community in Pine Ridge, South Dakota; helping to improve our National and State Parks in North Carolina and Tennessee; and traveling to France for a cross-cultural exchange with meaningful service. Chargers will serve across 18 local sites, working with animals (primates, sea creatures, horses, guide dog puppies and more) in aquariums, rescues and training sites; helping the elderly through technology at Sunshine Center and Westminster Palms; and assisting families rebuilding their lives through projects at Goodwill and CASA. They will clean up our beaches and environment, working with Keeping Pinellas Beautiful, Fort De Soto and various local parks and farms. They will feed children at The Kind Mouse and help educate and inspire at Great Explorations Children's Museum. They will build homes through Habitat for Humanity, build beds for families, and make beautiful artwork that brings joy. We are proud of their work and commitment. If you want to follow their service journey, search hashtags #ShorecrestServes #ServiceWeek18 #ShorecrestValues. We don't just count the hours, and yet we know that our students will provide over 5,000 hours of service next week. We make the hours count, so we know our students will serve with humility, respect, compassion, integrity and wonder. To our US Faculty and staff, thank you for your commitment, care and expertise. We could not do this without you.